Mr. Stanislav Georgiev is a senior industry expert, advisor and influencer in the global media, content and broadcast industries. He is the managing partner of Media Gurus Group, a senior advisor for the TIME practice at Arthur D. Little and also the Chairman of the organizational committee of Webit.DEMS. At present Mr. Georgiev advises the management boards of top media companies across Europe, MENA and Asia on their business development strategies, expansion and transformation. He is also frequently invited to speak at leading industry events. Formerly, Mr. Georgiev spun off A1 Broadcasting, rapidly positioning it among the leading service providers in Europe for broadcast, teleport services and playout. Within just 4 years after its spinoff A1 Broadcasting managed to launch 6 pay-TV DTH platforms in 5 countries in Europe, host encryption for more than 1 mio pay-TV subscribers, and distribute the signal of more than 60 premium TV channels across Europe, Middle-East and Asia. 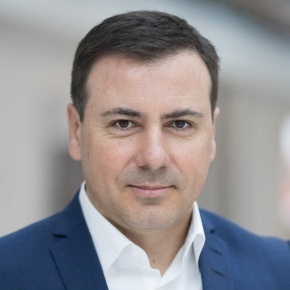 Mr. Stanislav Georgiev’s career originates in the ICT industry, where he was formerly the CIO at Vip Mobile (Serbia) and the Head of Group IT at A1 Telekom Austria Group. He possesses an MS degree in Computer Science from Sofia University and an MS degree in Management from Stevens Institute of Technologies.